Under the guise of sustainability and democracy, the United Nations seeks to destroy national sovereignty and stability by constructing global megacities. In October 2016 the United Nations adopted what is called Habitat III The New Urban Agenda, and it is the third phase in their plan to bring about global megacities. Just recently Freedom Fighter Times uncovered the true planning behind connectography and the agenda to bring about the high-speed FEMA railways which will inevitably be a key piece of infrastructure for the New World Order’s plan for America. However, what the United Nations has just adopted into their agenda builds on that same ideology. Thereby declaring their agenda’s the same. They plan to restructure the world into that of a Global Governance through the means of rebuilding and building “new” infrastructure. Which entails the construction of megacities, high-speed railways and so on. According to the UN Chief: “To transform our world, we must transform its cities,” which means that the largest assault under Sustainable Development will be the re-urbanization of cities far and wide. Reurbanization is a plan to build cities in and up, rather than build out. Reurbanization refers to the movement of people back into an area that has been previously abandoned. Reurbanization is usually a government’s initiative to counter the problem of inner city decline otherwise known as gentrification. Inner-city decline usually occurs when problems such as pollution, overpopulation, inadequate housing, etc. arise. Under the guise of creating sustainable cities, the United Nations is engaged in reorganizing cities, so the population practically sits on top of each other while the land that surrounds is left uninhabited and for government rule. UN Chief Ban Ki-Moon stated the following at the World Cities Day which takes place each year on October 31st. Cities are increasingly the home of humanity. They are central to climate action, global prosperity, peace and human rights. More than half of all people live in cities and human settlements, and that proportion is projected to grow to two-thirds by 2050. 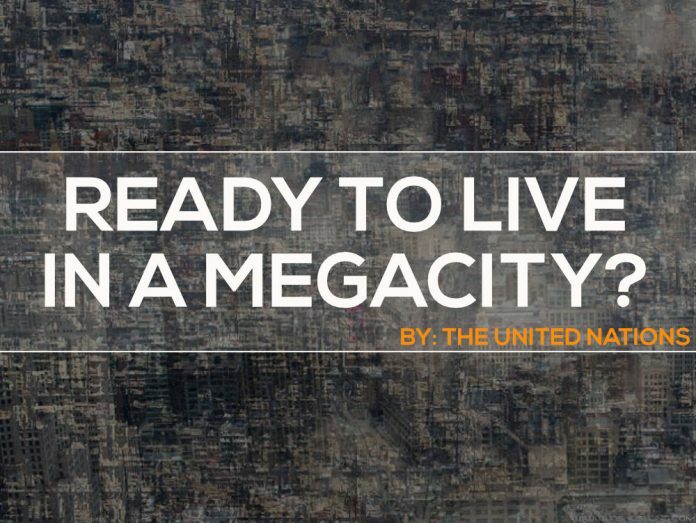 Building connected megacities is a massive part of their Sustainable 2030 Agenda and will effect each and every one of us because mankind will be forced to relocate into cities. According to the Draft Outcome document for the New Urban Agenda, the United Nations plans to change how cities all across the world, including America, are planned, designed, financed, developed, governed, and managed. Meaning that the United Nations is rapidly beginning to play a role in local governments. By readdressing the way cities and human settlements are planned, designed, financed, developed, governed, and managed, the New Urban Agenda will help to end poverty and hunger in all its forms and dimensions, reduce inequalities, promote sustained, inclusive, and sustainable economic growth, achieve gender equality and the empowerment of all women and girls, in order to fully harness their vital contribution to sustainable development, improve human health and well-being, as well as foster resilience and protect the environment. Full Habitat III The New Urban Draft Agenda By The United Nations available here. By implementing said agenda, the United Nations is working towards a “paradigm” shift for urban centers across all sections of governance. enabling strengthened municipal finance and local fiscal systems in order to create, sustain, and share the value generated by sustainable urban development in an inclusive manner. In a massive move for control the United Nations will now implement itself into all sections of governance within America and other countries abroad; even at the tribunal and local levels. Throughout the implementation of the Sustainable Development Goals, Agenda 2030, the United Nations has sought control of critical sections of life, from agriculture to infrastructure; and upon the implementation of their agenda the nations of the world will gradually hand over their sovereignty to global governance.